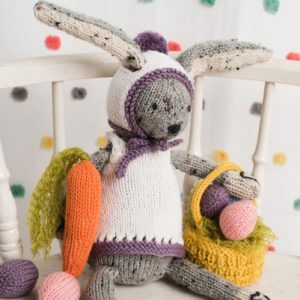 Find an array of baby knitting patterns including knit baby afghans, baby knit booties, knit baby sweaters, knit hats and more. Find the perfect knitting shower gift. 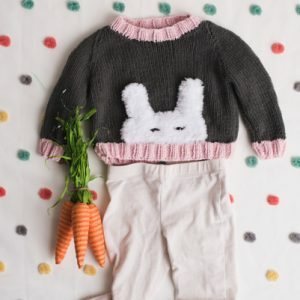 Get baby ready for the Easter Bunny with this soft raglan sweater featuring contrasting color ribbing and a sleepy bunny applique. 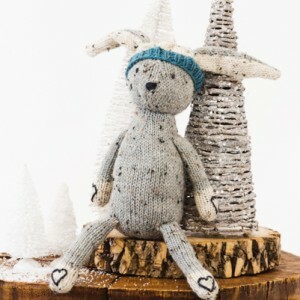 This cozy pattern is so adorable, we’re tempted to make a larger version for ourselves! This long-sleeved, ruffled-edge cardigan is cropped to fit well over a little girl’s full skirted dress, but you could easily lengthen the body if desired. The fun yellow ruffles capture the exuberance and joy of spring. And did we mention, it’s great for twirling in? This lacy blanket will become baby’s favorite; stitched in fresh shades it will definitely add a spring feeling to your strolls! This pint-sized cardigan is sure to be a hit this Valentine’s Day – it’s the perfect layering piece! It features a separating zipper, heart colorwork and a hood. Your little one will look absolutely adorable in this must-have hoodie. 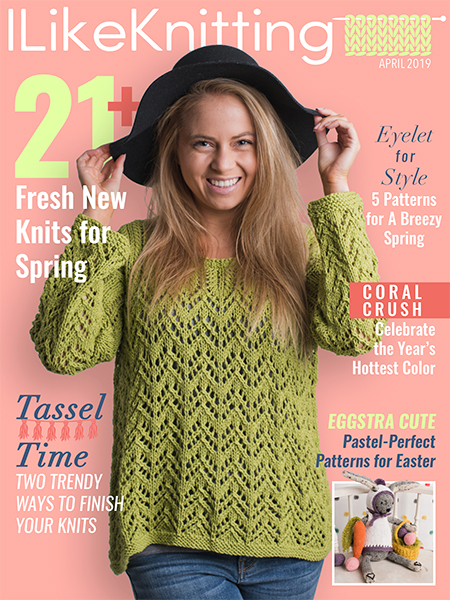 This is a fresh take on the Granny’s Garden Tee from April 2016 issue of I Like Knitting. By using only two colors, omitting the picot edge and presenting the flower-head’s in a row, Granny’s Garden is now available with two styling options. And what’s more, it’s two patterns in one! 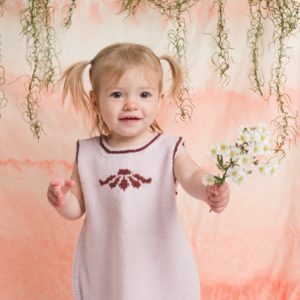 Granny’s Garden is a child’s tunic tee inspired by tall garden flowers. Make it longer to wear it as a dress or match it with your child’s favorite leggings. Merry & Bright Baby Blanket Yarn Giveaway! 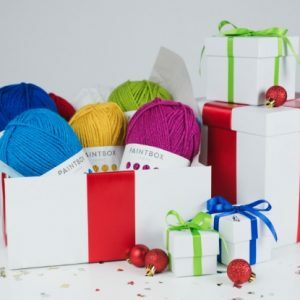 The Merry & Bright Baby Blanket wouldn’t have gotten its name without this Paintbox Yarn! 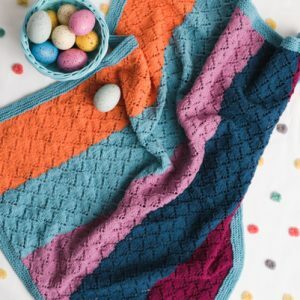 Enter to win all seven skeins of Paintbox Yarns Simply Aran for the brightest blanket yet.